Plush Tents is the most perfect woodland wedding venue to hold a bohemian, rustic family gathering. Our beautiful venue is a woodland oasis of tranquillity and calm so our aim with every event is to provide the bride and groom with a stress-free, enjoyable journey towards the best day of their lives followed by happy memories to enjoy for years to come. Our award winning venue gives you the opportunity to bring your guests together for a whole weekend, allowing you to relax and enjoy their company properly. There is so much to organise in the run up to such a memorable occasion that sometimes its easy for it to fly by all too quickly. When holding a wedding at Plush Tents, you and your guests have time to fully experience everything our venue has to offer with exclusive hire for the full weekend (Check-in is Friday 2 pm and check-out is Monday 11 am). Award winning in the Times, Time Out and Beautiful South awards. Accommodation for 60 of your guests to stay in Luxury Mongolian Yurts. Bridal Yurt, perfect for getting ready with your special ladies. Full weekend hire Friday 2pm-Monday 11am. A variety of beautiful areas for your ceremony as well as being within walking distance of a quaint rural chapel. 30ft yurt for your reception as well as a large outdoor area with fire pit and bandstand. Adjacent field to hire for extra marquees, entertainment or camping. Additional Yurts and overnight options available for hire. Wood fired hot tub, bandstand, chill out teepee, fire pit, hot showers and proper toilets. Ample parking and only 4 miles from Chichester city centre. Mainline train station a short drive away. A huge range of local recommendations for catering, supplies and entertainment. Plush Tents is a yurt village nestled in a beautiful woodland copse designed for pure escapism. Whether you want to enjoy the multitude of social spaces or have a little bit of privacy in your own hammock, from the point that your friends and family park their cars and walk through our welcome arch they will be drawn into the tranquil, calm atmosphere. We welcome guests of all ages and love to hear the laughter of children running free down the paths, splashing in the hot tub or playing in our natural play area. For newcomers to glamping, we have just the right level of luxury such as Egyptian cotton bedding, hot showers and comfy sofas by the stove to keep everyone happy and contented. Nestled in the woodland copse you will find a multitude of beautiful spots to hold your ceremony. Every couple is so different and we love how creatively our space has been used. From Home Yurt with its capacity for 120 people, to the bandstand, willow arch and the copse of trees. Each has its own unique charm and is ready to be used for the most special moment of your life. 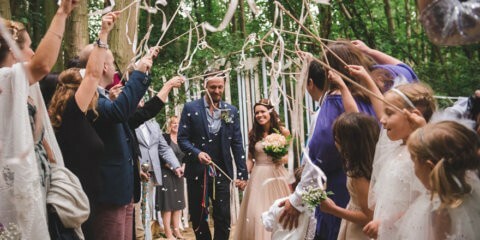 Owners Makka and Louise met and then married here at Plush Tents whilst Josy our marketing manager liked it so much that after her wedding she came looking for a job! True love really is found in our little piece of paradise. For those looking for more space we have the field adjacent available to hire for marquees, games and extra camping. 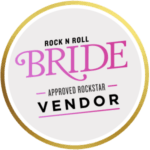 We work with some of the best caterers, musicians and suppliers in the business and have an extensive selection of recommendations to help you create your perfect day. 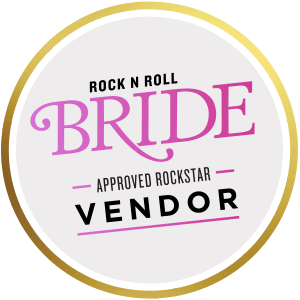 From event stylists, stilt walkers, street food vans, baby sitters and bands we will have someone who fits the bill. Our staff are on hand to assist you every step of the way and have a wealth of experience to draw from. If you are looking for something a little bit unique, a little bit special and with some serious wow factor pop us an email or call to find out what we can do for you. Each yurt is totally unique and designed for comfort. They are decked out with vintage furniture, hand carved beds and feature antique or salvaged wood burners. There is 1 double bed and up to 3 single memory foam floor beds for children. Cots can be provided free of charge (please note that these do not come with linen). All of our linen is luxurious Egyptian cotton, our towels are fluffy and and we choose our pillows and mattresses for maximum comfort. Create your own ambiance with our led colour changing mood lighting, plug in your iPod to the sound system and relax in your own chill-out zone powered by rechargeable batteries. For a decedent, locally reared breakfast order delicious hampers for you and your guests. Created by local restaurant Field & Fork, the hamper will be delivered directly to each individual yurt to be cooked at your leisure or choose the sumptuous continental option featured below. Our on site catering wagon is open each day too serving tea, coffee and light refreshments. Our whole beautifully landscaped site is yours to decorate as you wish for the weekend. 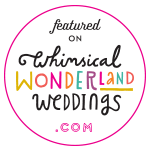 We have seen couples keep things simple and make use of the decoration already in place as well as create vintage picnics, full psychedelic installations and 60’s style festivals. Home yurt is the hub of Plush Tents with its sumptuous chesterfield sofas, cinema projector, sound system and roaring fire. It leads to a covered area outside so whatever the weather you can host your guests for your reception. We can host up to 100 standing. It also makes a beautiful place to get married. The wood fired hot tub, z line of hammocks and chill out teepee are a great place to unwind the day before and after your ceremony. Let the kids run free around the site, which has been designed with them in mind, and explore our natural play area. Our new addition is the tree house mess tent which houses gas hobs, 2 ovens, a sink for washing up and an ice fuelled cool box for keeping drinks and food cool. We encourage you to congregate around the communal evening bonfire to toast the bride and groom whilst watching the sun go down. Our heated, cosy shower and toilet block contains 4 reliably hot, gas-powered showers (2 for men and 2 for women). There are two types of toilets on the campsite: flushing toilets (3 Ladies, 2 mens & 2 urinals) and composting toilets (1 ladies, 1 mens) which are an experience which must be tried to feel truly at one with nature. Speak to our staff for instructions of how to use them. Additional toilets can be hired if you have a large number of guests attending your event. We have a wide range of caterers that we can recommend to you from street food vans to hog roasts or fine dining. We have a bring your own policy with alcohol and can provide you with staff to serve your drinks for an extra cost. As we predominantly run on solar power and rechargeable batteries you may need to hire a generator to provide enough power for your suppliers. We love music and there is nothing better than hearing a great band play on our bandstand. We are off grid and are focused towards a more chilled vibe than other places with respect for our neighbours both human and from the animal kingdom. Whilst we can’t have a disco going on until 2am we can recommend some amazing alternatives which are sure to get your guests in the mood for dancing. There is plentiful parking on site and we are accessible for whatever magical vehicle the bride chooses to arrive in. We close the gate at night and don’t accept cars after 11pm to keep the site quiet and safe. Parking is on grass so appropriate footwear is advisable. Chichester train station is 4 miles away and there are numerous taxi hires that can bring your guests to and from the site. We are an Eco friendly site and endeavour to reduce waste and limit our use of toxic products wherever possible. We would love to encourage you to join us in our quest by limiting the amount of waste you bring to the site, using recycling points where possible and being aware of the impact of things like plastic, cigarette butts and chemicals. We provide each guest with a Kilner Jar and plenty of drinking water for throughout your stay. Feel free to chat to us about alternatives that we recommend and have a look at our blog post on reducing plastic waste. We will help you every step of the way with planning your big day. As well as offering help and advise we provide you with a running order to be filled in and used by us and all your suppliers, helping to ensure that everything goes without a hitch. Guests will be greeted on arrival by our friendly staff who will show them to their chosen yurts and familiarise them with the facilities onsite. We will receive deliveries and suppliers as well as transport any heavy luggage and supplies via quad bike. Be onsite throughout your event to ensure everyone is happy and provided for. Just ask! We are always pleased to help. We can’t wait to hear about your ideas for your special day and help you to bring them to life. "Plush tents is a wonderful place in so many ways.... The tents are more luxurious than you would think possible and so much attention has gone into to the little details that makes all the difference. The site is both a fantastic place if a couple of family staying for a weekend or booked as a whole site (as we did for a festival style wedding). As a wedding venue, it has so much there on-site that feels very special, but there is also the scope to make it into something personal and unique. Louise, Macca and are all the staff are all really lovely and make such an effort to help make your stay feel so special. I couldn't recommend Plush Tents highly enough. Anybody considering staying or booking the venue for a special event. Just go take a look and you will love it!!" 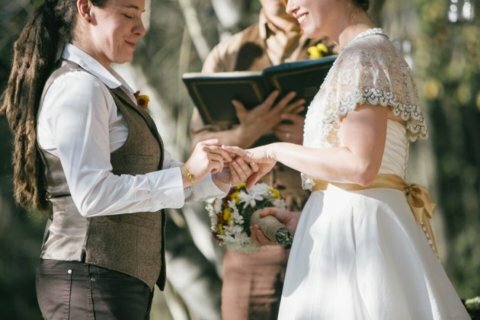 Gay weddings | Top tips for LGBTQ weddings from Plush Tents glamping, a wedding venue in West Sussex.